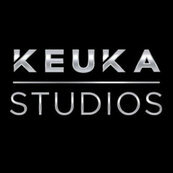 Relationship: I am a client who consulted with Keuka Studios directly. I wanted a rail system that was unique and strong for a large home deck especially for rural Kansas! I came across this rail system by using "Google" search with photos and immediately was in awe of the design that looked like an airplane wing! The chosen style was a perfect match for my deck as my home sits upon a hilltop overlooking a river valley! Being from Kansas, I was afraid I was in over my head with this project as the company is located in the state of New York! Optimistically, I forwarded pictures of the home, deck construction plans with dimensions, and within 1 week I had an email quote and a proposal design! Jason worked with me on this unique structure, as I had a bowed balcony front, and 2 flights of stairs. There were customization on corners and angles had to be precise! From the acceptance of proposal to the shipping of the materials, was about 5 weeks. During the whole processing time, I was notified when the project would be in the factory, and then when it was in shipping. The shipping was very organized with each package pieced and labeled in very neat detail. My corner posts and intermediate posts were packaged individually in labeled boxes with cushioned stiff foam, not a single scratch. Each cable set was tagged with a code referencing number, matching the print for installation diagram. The invoice was very organized and easy to understand. I am elated with the outcome as my private contractor constructed this project in 2 months without a single visit from Keuka Studios! Maybe 4 phone calls in all to verify some questions, but truly huge job well done by Jason White and the team at Keuka Studios, and to my private contractor! NOTE: From a seated perspective, I used the cables so that the ordinary rail posts wouldn't restrict the picturesque view! The Brazilian walnut handrail was the cherry on top! -- A year later, now posting this review, I had a couple maintenance items that I needed to adjust with the cables. I misplaced a tool and 2 cables had "spun" out of tension. I contacted Keuka Studios, and Jason answered the phone. I was intrigued that the owner of the business answered the call first and that he took the time to explain how to remedy the cable issue. He emailed me my photo of the deck, which he still had on file, and asked if the 2 cables were the ones as marked in the photos. He was spot on! Jason offered then to send the tension release tool and the 2 different lengths of cable to me, free of no charge! That is Customer Service! NET net...Great Product Design & Great Company! Price would have been a deciding factor, however, I would not want to live with the risk of a flimsy rail from a competitor! Huge bonus on Customer Service/Care....dedicated to make sure from start to finish, that the final product says, Keuka Studios! Thanks Steve! Its always a pleasure working with you as well. Thanks Pedro! It was a pleasure working with you as well. Excellent railing system. Dan and Jason were very easy to work with. Great craftsmanship receive several compliments on weekly basis.